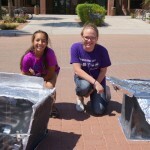 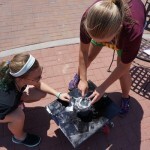 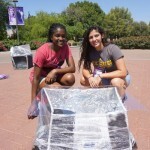 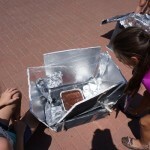 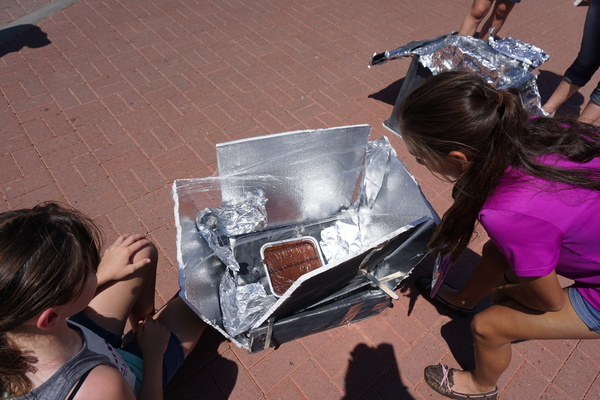 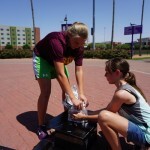 More than 20 middle school and high school students in this week’s Girls in STEM summer camp utilized sunlight Wednesday to cook brownies in solar ovens on the Promenade by the Student Union. 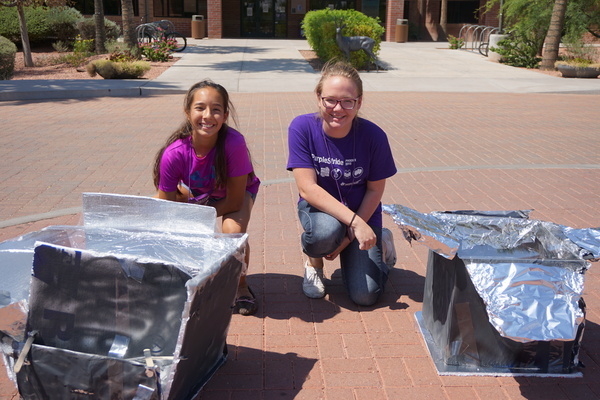 The girls tested various ways to harness the sun’s energy to power the ovens they had built from scratch and learned that some materials — such as glue and duct tape — simply won’t hold up to the elements. 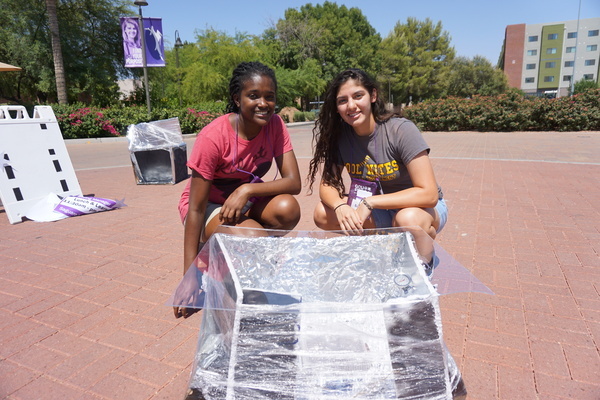 Led by Amanda Hughens, GCU’s K-12 STEM outreach manager, the University today wraps up three weeks of STEM camps that drew more than 80 students to campus, including some from other states. 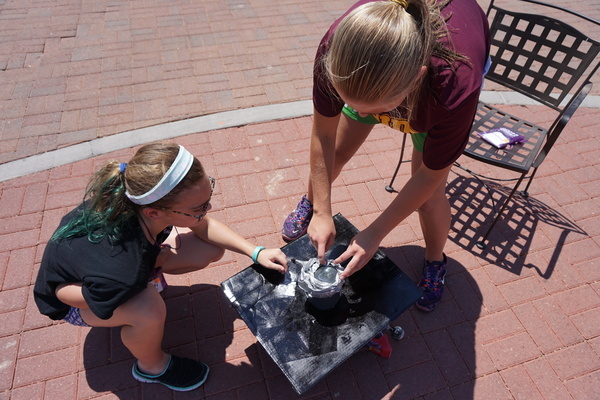 Students learned 3-D modeling for rapid prototyping, computer programming skills and the basics of hydraulic arms, motors and other equipment that they will explore in greater detail during STEM classes at their schools. 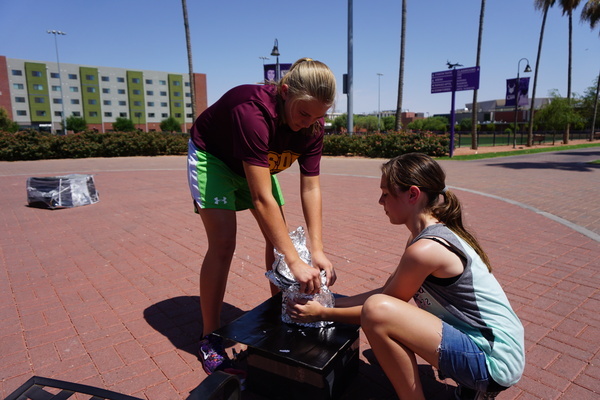 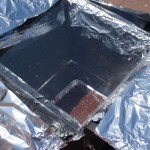 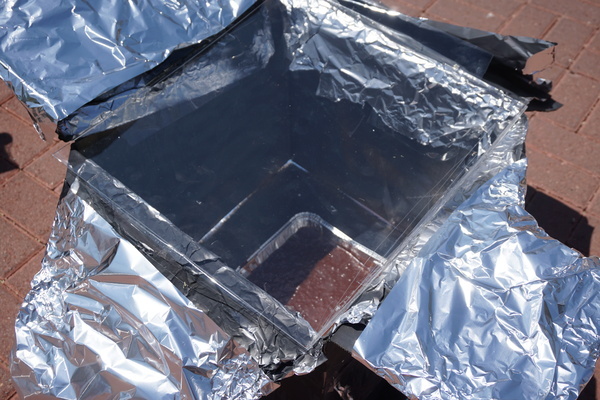 GCU Today has a slideshow of the brownie experiment, during which some of the ovens reached 200 degrees — not bad for a first attempt at mimicking baking convection with household materials midday in the desert.